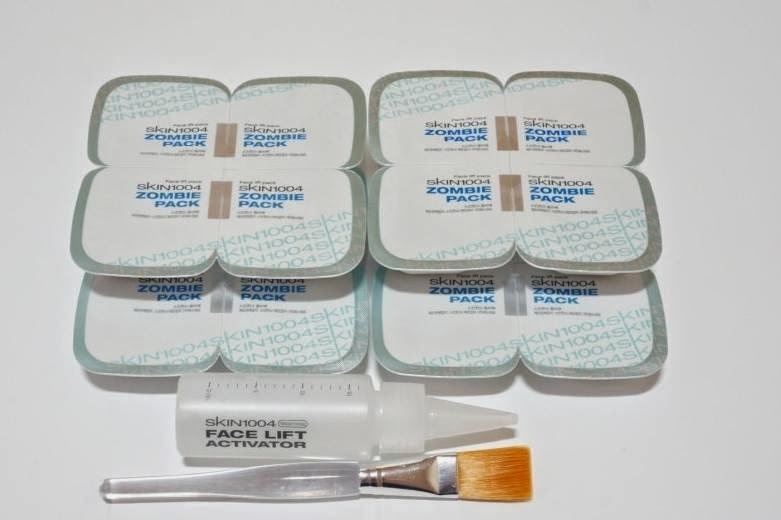 Face Lifting, Pore Care, Moisturizing Pack? Try out this Zombie Pack! I am more than just loving zombie pack, it's so fun to scare off some friends while doing this pack. I saw that it was doing sale after my purchase and decided to share it with you all on Facebook Page. It's not a cheap pack but seeing it's effect I find it is not so expensive. 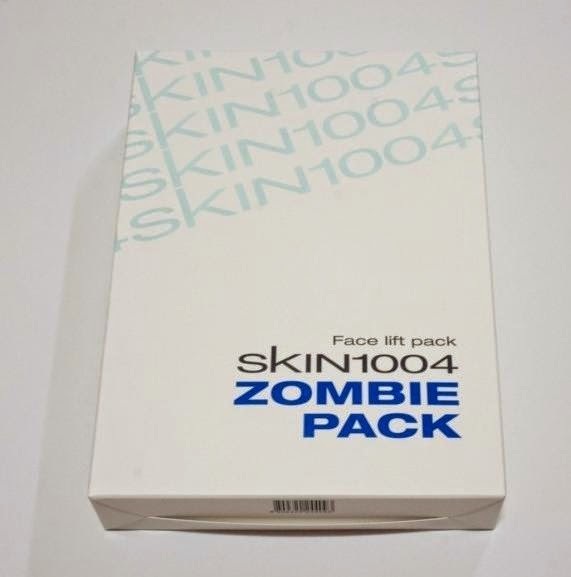 Face lifting is few ten thousand Korean Won, but with this zombie pack you can see the same effect of face lifting beauty care. I have been having loose pore these days, over flow of oils and I feel that the skin is loosing it's strength and weakening. So I needed this so much. I'm so excited! When I saw this package I had high expectation! Helps with skin oil-moist balance and pore, tightening and lifting effect on the skin. 1. Mix the Zombie Powder and 3ml of Activator, one black line is one time use. and mix it well with a brush. 2. Except for the eyes apply the pack and do not let it touch the eyes and lips. This is one set, if you wish to get the same set check out the special sale that's going on in this brand. Now it's time to apply on my skin! These cracks means that this part of the skin is dry. So it's all cracks, I guess my cheeks are bit dry, it's quiet interesting how you can also know what state your skin is dry? or loose? just by how this mask turns out. I like how you can also control the tightening strength because some skin are just more sensitive than others, and with a mist you can easily control the tightening and yet still see result without ruining the mask. 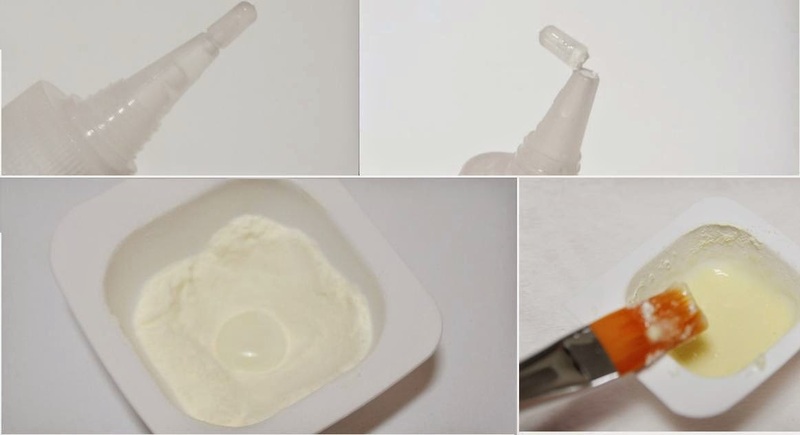 As you use this product you can slowly see less parts turns into cracks and less parts turns into bubbles. Really let you see how much effect this mask has given you. Because my skin did get bit irritation and dry. But this pack didn't give me the sensation of dryness so I didn't need to do a sheet mask afterwards. I personally really recommend this to people who has loose skin going around their late 20's~to 30's But I even gave it to my mom and she loved it so much I had to buy another set. So it's a great gift for moms. This also has cleansing effect so it's great for people who need their nose done and pore cleansing done. 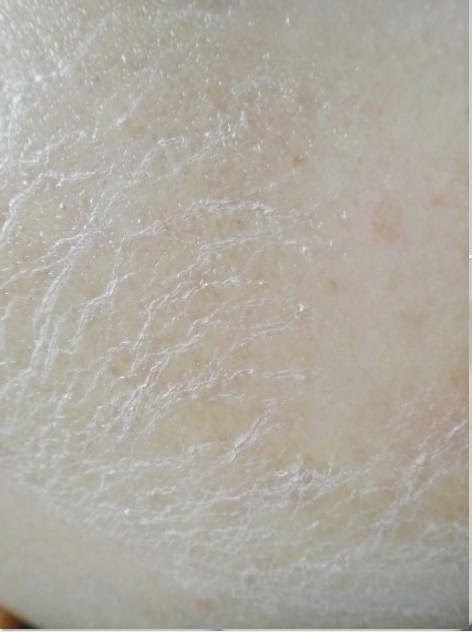 I love how this one product has so many effects! check out the special sale that's going on in this brand. Want to buy any of these product but Can't find it online? I can go shopping for you in KOREA! in Official Stores! 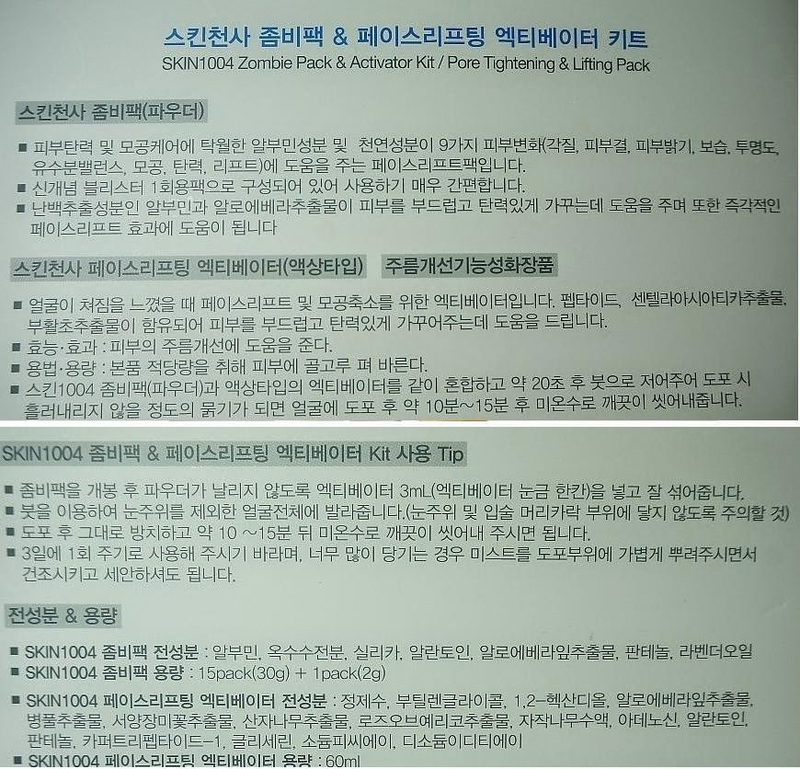 So it is Authentic, You get to enjoy the Sales, and you can get your cosmetic! About the Author : Born in Korea but lived overseas for 12 years, loves Korean Skin Care. Back in Korea and enjoying her hometown more than ever! Loves buying Cosmetic and Skin care and loves to share that opportunity to her readers! See her shipping delivery on her private google community. Đến với các dịch vụ sửa chữa tủ bếp của chúng tôi các bạn yên tâm về chất lượng cũng như gía cả nhé! I love all 'reasonable' opinion, love notes, encouragement, thoughts, ideas. But Please... No Hater Comments, No Advertising, No Links Please, Let's keep it clean, shall we? CopyRights By Lady Fox. Powered by Blogger. Get Various Beauty Tips From Lady Fox! 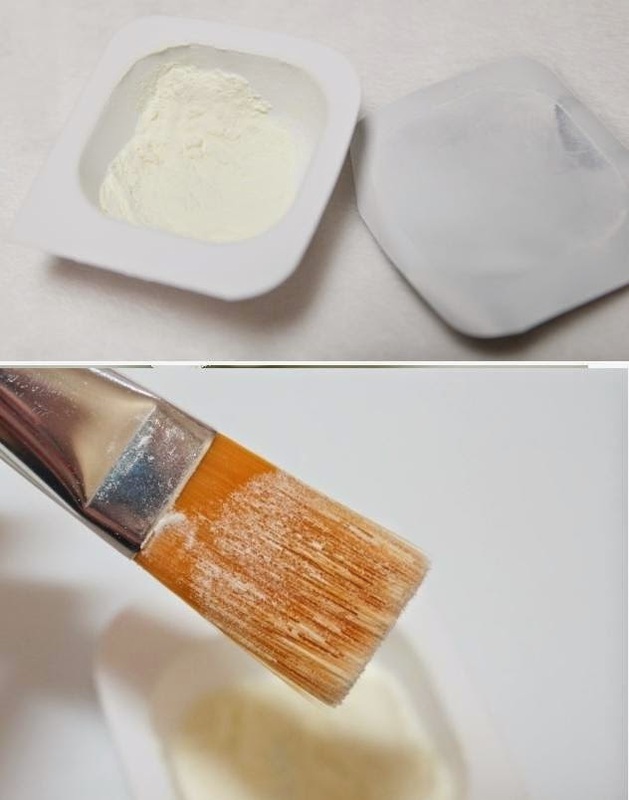 Cosmetic Expiration Date/ Manufacture Date/Expiration Date/ How to Keep your products! Makeup Zones, What is V Zone, U Zone, T Zone, Star Zone, C Zone? Links to Amazon or Ebay is Affiliate links, It means that I make a small percentage whenever you use my link to visit the site and purchase an item. The cost does not influence your prices on the item or anything on your wallet, it's the advertisers paying me within their margin. The cost will be used for Free Giveaways. 2013 Skin Food, Face Shop, Nature Repubilc, Innisfree, Leneige My Favorite Skin Care Product Line, for Oily Skin / Combination Skin!